From April 29 until May 3, 2019, the RLC Campus at Lund University organises the Civil Society and Sustainability Studies (CIVICSUS) Workshop, bringing together civil society actors and an interdisciplinary team of researchers and educators. This workshop is the final event in the yearlong Advanced Study group project CIVICUS. 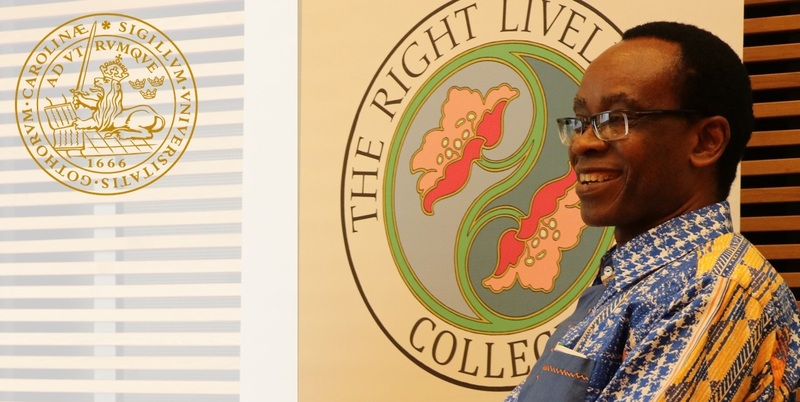 Right Livelihood Award Laureate Nnimmo Bassey (Nigeria) and Prof. Ron Eyerman (Yale University, USA), will explore tentative conclusions and future directions around the question: How can a scientific understanding of sustainability challenges contributes to social movements for sustainability? The CIVICSUS Advanced Study Group will present and discuss its research findings aiming to prepare the ground for a systematic treatment of the subject of the contribution of academic knowledge to initiatives of civil society for environmental sustainability. Two PhD students from RLC Campuses in Port Harcourt, Nigeria, and Mumbai, India, will receive full workshop scholarships to present their current research at the workshop. Prince Eze (Nigeria): “Global Memorandum of Understanding (GMoU) in Nigeria and its implications for social and environmental sustainability”. Ramesha Naika (India): “Disaster in Neo-Liberal Context – Building Farmers Resilience in the Global South”.